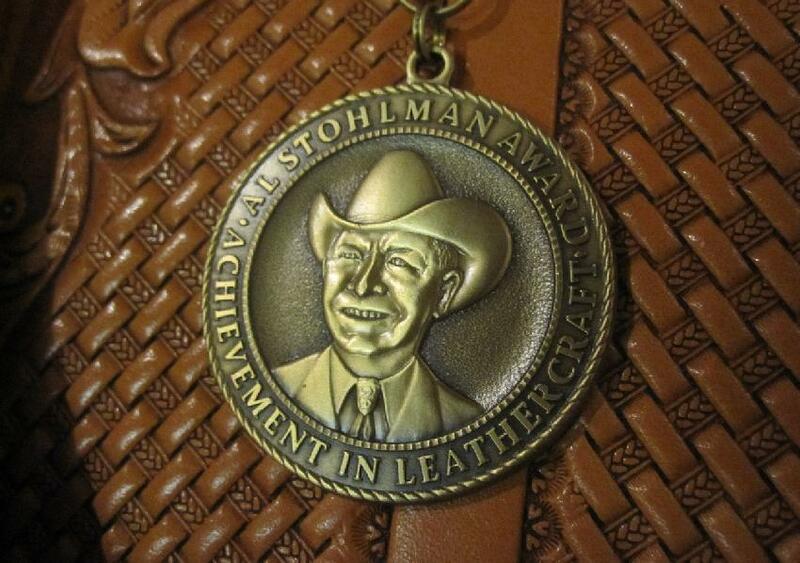 The criterion for the Al Stohlman Award won by leather artist and small business owner Wayne Christensen, is a person whose accomplishments in leatherwork and dedication to leathercraft demonstrates continued dedication by promotion and improvement of the craft following the example of world-renowned leather artist and author Al Stohlman. Saturday evening September 28th 2013, DoubleTree Hilton in Denver at the IFoLG banquet surrounded by his parents, a few of his many students, and many fellow leatherworkers and friends Wayne Christensen had the honor of being presented with the 2013 Al Stohlman Award for Achievement in Leathercraft by his mentor and friend Robert Beard. Wayne got started in leatherwork over 25 years ago when a neighbor gave him a 55 gal drum full of scrap leather. He went to his local leathercraft supply store and bought a small beginners tool set. The manager, Don McGown offered his help, encouragement and assistance in this journey into leather without it Wayne would have given up. Leather became Wayne’s passion, turning it into his full time business in 1990 and never having a days regret. Living by his motto "You only have two things, your ability & your integrity. If you compromise either one, you've lost the other." Besides teaching 5 nights a week, he offers free classes to teachers and camp counselors so they can pass on the knowledge to their students. 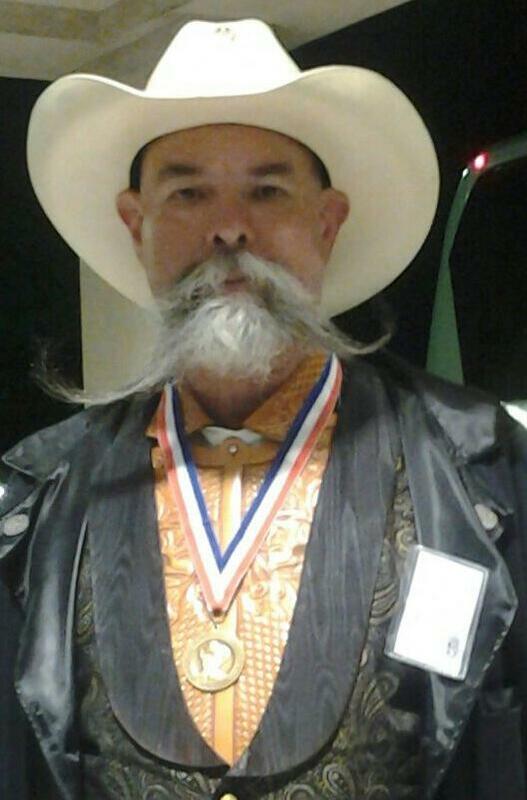 He Is a Boy Scout Merit Badge counselor and has been vice president of The Leathercraft Guild for the past 5 years. He offered Standing Bear’s Trading Post to The Leathercraft Guild as a meeting place to further build the guild and bring others into the world of leather. For those that do not have classes or guilds in their area for instruction he has begun offering short instructional videos posted on the internet, all actions that show his enthusiasm for what has been referred to as a dying art. With the heartfelt desire and a concern for the continuation of this great art, traits common in Al Stohlman Award recipients, Wayne sells leathercraft supplies as a small business, Standing Bear’s Trading Post Located at 7624 Tampa Avenue, Reseda, CA. 91335. He runs his business on the foundation that a business strives when it looks deeply into its customer’s eyes, not the depth of their wallets. As a small business in a big business world, staying in business has been difficult. Wayne has stated that he will continue to do the many things listed that were a part of his receiving the Al Stohlman Award including selling leathercraft supplies and teaching people how to do leatherwork as long as he can keep the doors open and customers coming in.